For all your skincare concerns for face and body..
R&R Skin & Beauty Clinic is an established professional skin clinic in Dartford, Kent. With over 10 years experience and knowledge we provide advanced bespoke face and body treatments to make you feel good and look amazing! R&R Skin & Beauty Clinic offers an extensive range of facial and body treatments that truly give the results you desire without the need for invasive surgery or injectables. From award winning CACI non-surgical muscle lifting/toning and contouring treatment, radio frequency skin tightening, celebrity favourite Mesotherapy, collagen stimulation therapy microneedling, chemical peels, skin resurfacing, increasing popular LED light therapy and the foundation to all healthy skin is the unparalleled result driven skincare products from the Environ skincare range. All of these treatments can be brought together into one personalised bespoke facial to give optimum results by laying the treatments to suit the clients specific skin concerns and requirements. Specialising in facial treatments to suit all ages, skin types and skin conditions such as sun damage, lines/wrinkles, acne, eczema, skin sagging, pigmentation, rosacea, acne scarring to name but a few. 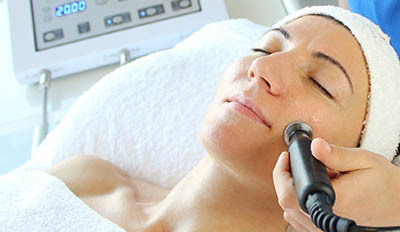 Every skin is different, every facial is tailored specifically to the clients individual skin concerns using reputable professional skincare products and the latest technology beauty and aesthetic machines – CACI, Environ, pH formula skin resurfacing, Radio Frequency, MicroNeedling, Mesotherapy, LED light therapy. Please note: this is a female only salon. Advanced range of body treatments can help many body concerns; CACI non-surgical body toning and contouring will help to improve cellulite on legs and bum. Radio Frequency skin tightening can be used all over the body – tummy, legs, bum, back and arms as it will break down fat deposits and speed up removal into lymphatic system. 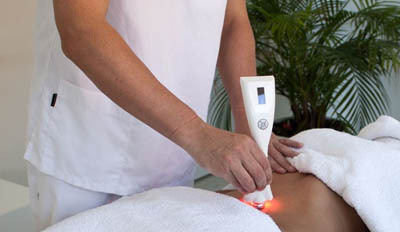 Mesotherapy body treatments can improve the appearance of stretch marks, cellulite, fat reduction and skin rejuvenation. Facials are not just for the face, if you suffer with congestion or acne on your back, a bespoke back acne/spot treatment will be hugely beneficial to deep cleanse and control the bacteria that causes breakouts. 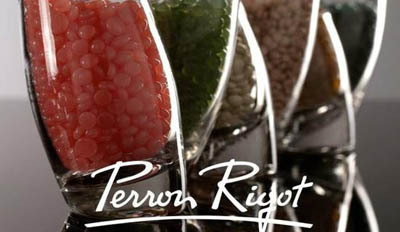 Hair removal using the very best professional quality range of Perron Rigot hot wax and strip wax to allow for a pleasant comfortable waxing experience suitable for all areas of the body, particular for intimate waxing like Brazilian Bikini wax and Hollywood bikini wax.